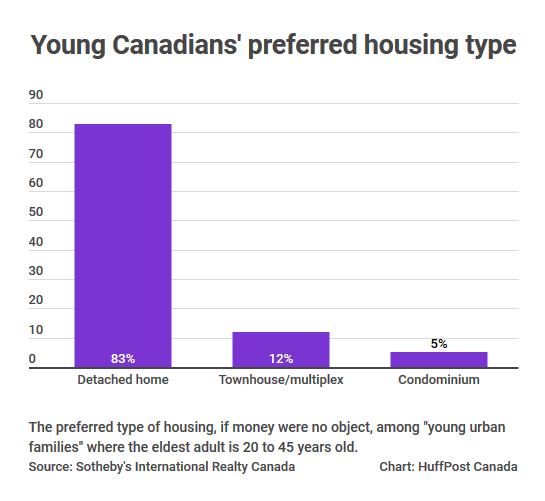 The Canadian government is taking steps to make homebuying easier for Millennials. 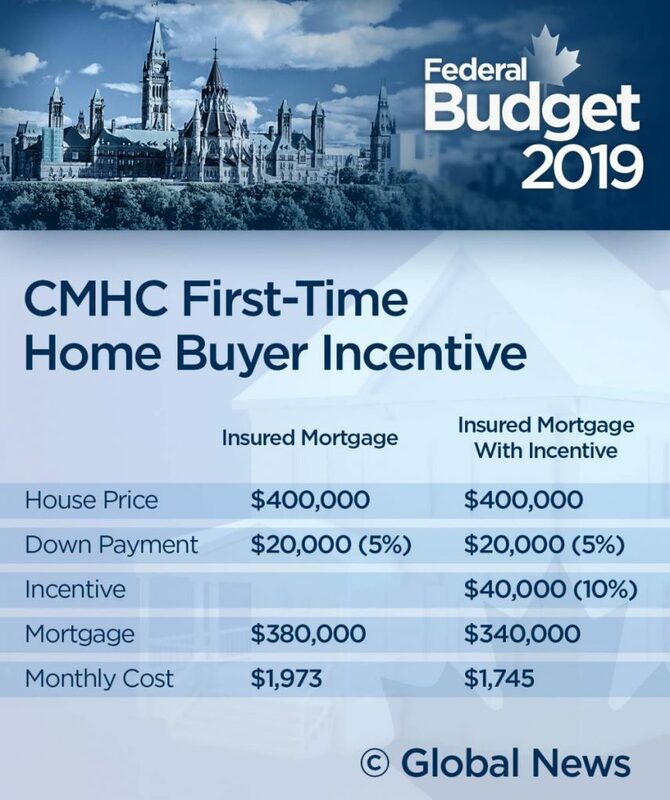 According to the budget proposal of 2019, the government intends to put forth $1.25 billion over a three year span from the CMHC First-Time Home Buyer Incentive. Borrowers would still have to figure out a down payment of at least 5% of the purchase price, but they would still receive an incentive of up to 10%, which would lower the mortgage. 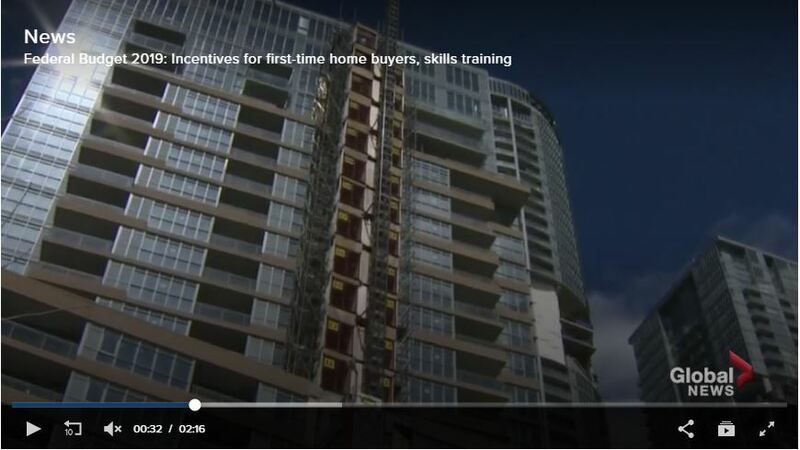 The incentive covers 10% for newly built homes and 5% for existing homes. A few of the catches: Your annual income must be under $120,000 to participate, and you will have to eventually repay the incentive although officials have not decided how that will unfold just yet. The federal stress test will still be required to ensure buyers will be able to repay the debts at even higher rates. The government is also enhancing the Home Buyer’s Plan which allows first time buyers to take out up to $25k from their RRSP to finance a home, without paying tax on withdrawal, they are proposing to raise the cap to $35k, and the new limit would apply to withdrawals made after March 19th 2019. The only problem is that more borrowing means that housing prices are likely to go up, and may encourage Canadians to take on more debt. Buyers must keep in mind that the government is not extending the program’s repayment timeline, so any money taken out of their RRSP must be put back with 15 years to avoid the withdrawal being added to their taxable income. Now Canadians will have to repay a max. of $35k instead of $25k over the same period. Are you a first-time home buyer looking for the best guidance in the business? Call us today! We have agents standing by to help you with any questions of concerns you may have. 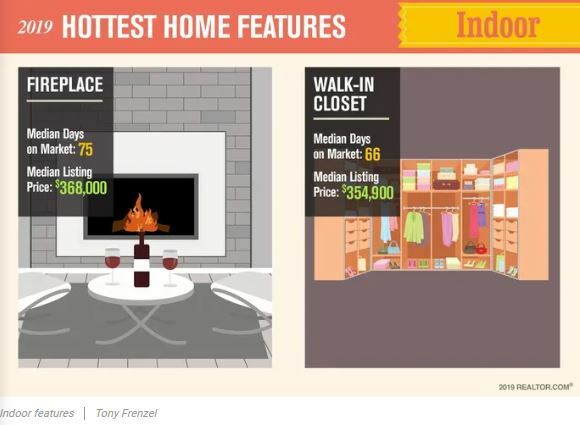 Which Features Will Help To Sell Your Home Quickly? With trends constantly changing these days, it’s hard to tell which new features and design improvements will actually benefit in the quick sale of your property. Realtor.com has offered a few key features that have helped home owners sell their home the fastest and for the best price! 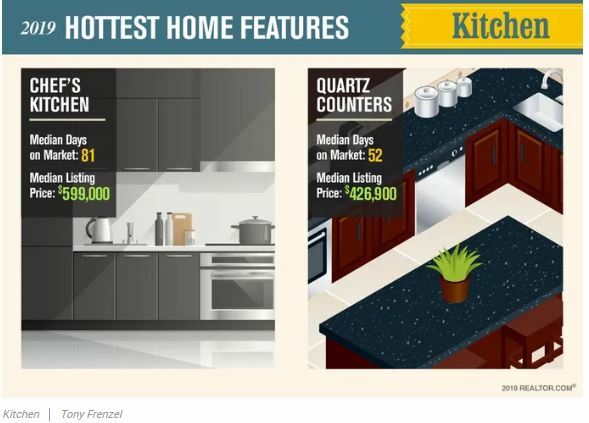 Open kitchen designs have exploded onto the real estate market, becoming a centerpiece for each home. Luxury is important to buyers, especially when it comes to hosting friends and dinner parties. Dark palettes like black & navy have taken precedent over the more traditional white and neutral shades. Open shelving, double doors, lots of windows, quartz counters, stainless steel appliances – these are all adding to the popularity and success of home-selling! Specialty Rooms Whether it be a home office, theatre, gym or mudroom – buyers are asking “why go out when you can stay in?”. 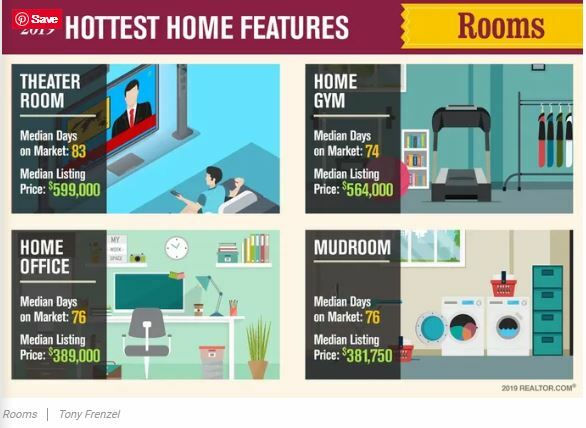 While not as popular as they were in the beginning, design experts are saying that homes which come equipped with any type of specialty room usually go for about twice as much as the national median! 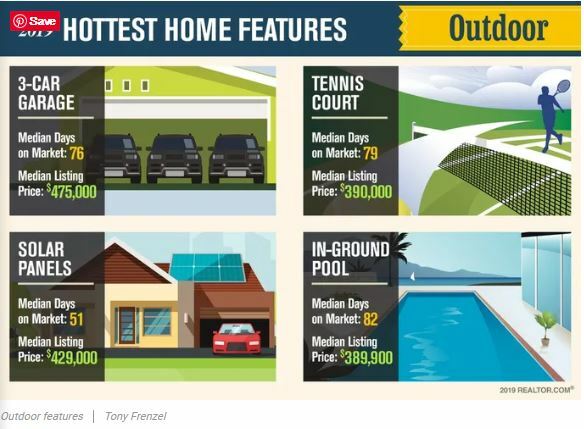 Outdoor Features Solar panels have become a really hot commodity thanks to the demand from climate-conscious buyers and those who are looking to cut down their electricity bills. Built-in pools (whether shared or private) have always been consistently popular, but while they attract some buyers in warmer parts of the globe, some buyers may repel due to maintenance and liability issues. Bottom line for pools is to install it for your own enjoyment first, resale value second. Smart Home Features and Electronics Anything from interconnected appliances or internet-controlled thermostats to fully-wired homes. This can be an expensive addition, but the trend is booming thanks to Amazon Echo and Google Home. 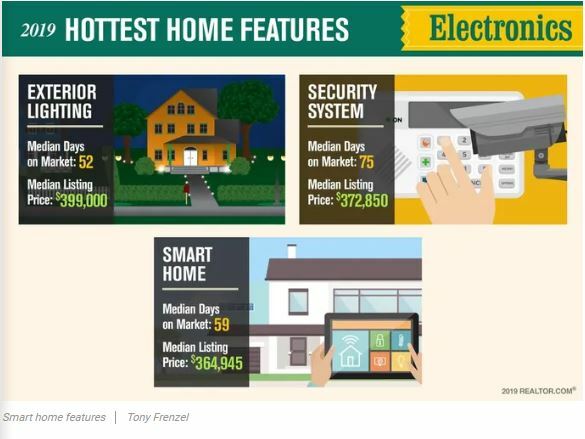 These electronic home features are so easy and convenient to use – there is almost no reason these additions will go out of style. With this technology, homeowners can now pick up a simple smart home security system for pricing as low as $150, vs. having a technician come in and install a system which could run a bill over $1000! People really like having an app on a phone to know if someone’s at home or not. Indoor Features No matter where you go – fireplaces are always welcome and will never go out of style, however there are definitely more modern approaches to the classic fire place, such as being built into the wall. Another key indoor feature is the walk-in closet; not as popular as they once were due to the de-cluttering movement. Whether you are looking to sell your home at an amazing price or are looking to purchase a home which includes any of the above upgrades, please give us a call! We have agents waiting by the phones to answer your questions and help you with all of your buying and selling needs – each step of the way! Which Canadian Province Is Leading In Multi-Family Building Permits? New statistics show an increase of 1.6% per month in relation to permit value for residential buildings in Canada, with Ontario as the clear leader for both single-family & multifamily permits since January. In Toronto, the value for multi-family dwellings rose from 26.5% to $871 million which was the second highest value on record! Since December, multi-family permit approvals have increased by 3.5%, totalling to 21,192. Single family home approvals decreased by 2.3% from the previous month. As for non-residential permits, the drop was pretty significant with a total of $3.0 billion down 15.8% from December, which resulted from lower construction intentions from commercial buildings. The total value for all permits issued in January for both residential & non-residential was $8.4 billion in January, down from 5.5% from December’s record high. Whether you are looking to invest or to buy the perform home for you and your family, do not hesitate to call us! We have agents standing by to answer any of your questions. 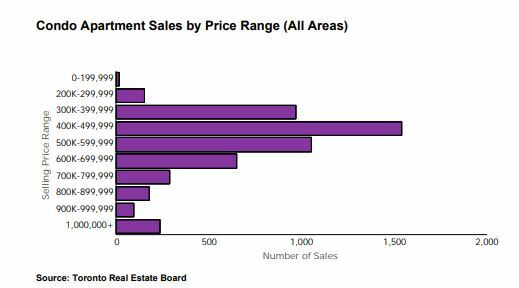 The Toronto Real Estate Board has released condominium apartment sales statistics from the GTA. As it turns out, Realtors have reported 5,191 sales through TREB’s MLS system in the fourth quarter of 2018, a result which showed sales were down 9.9 per cent compared to 2017. Condo listings entered into the MLS system were also down by 11.2 per cent from 8,186 in 2017 to 7,272 in 2018! Pricing for condominium apartments have increased by 8.3 per cent from $516,086 in 2017 to $558,728 in 2018. Each year the growth in price gets slightly higher, accounting for 72 per cent of transactions, resulting in an average price of $598,664. Looking for the best prices in condos for sale and rent? Give us a call today – We would love to help you find your perfect new home! Royal Bank has stated that a widespread real estate downturn is unlikely and that the probability is “still low but has increased somewhat in recent months”. Mortgage stress tests and rising rates are making it harder for buyers to get a foot in the door. 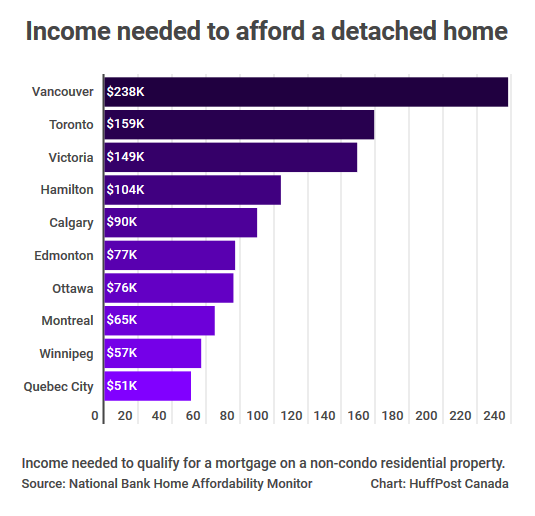 Toronto, Vancouver & Alberta are currently at risk due to the high interest rates put on the high-priced areas, and affordability is a major at a crisis level. 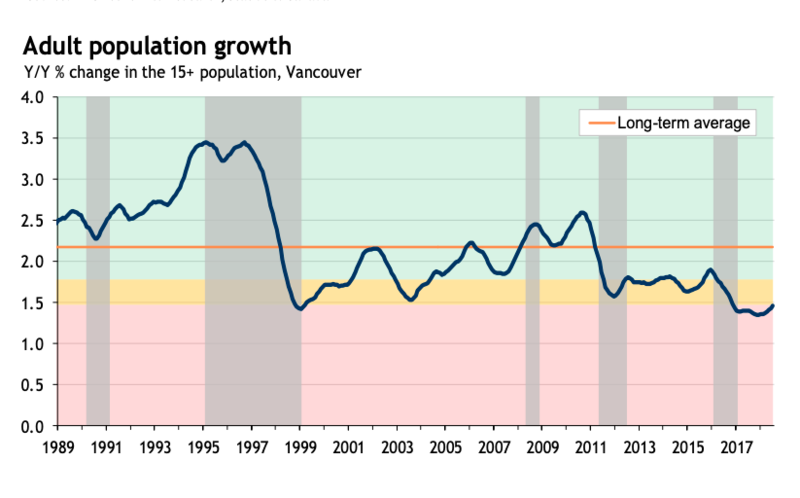 “Regulatory changes made the market healthier – it is now balanced, well supported by economic and demographic fundamentals, and while condo building activity is elevated we see few signs of overbuilding,” says RBC. 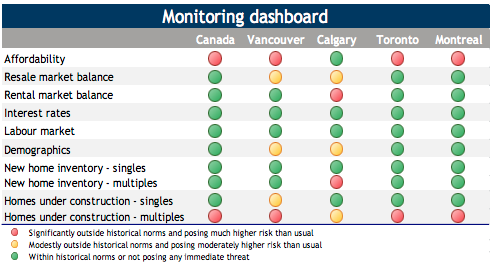 Montreal remains one of Canada’s stronger markets at the present time, says RBC. 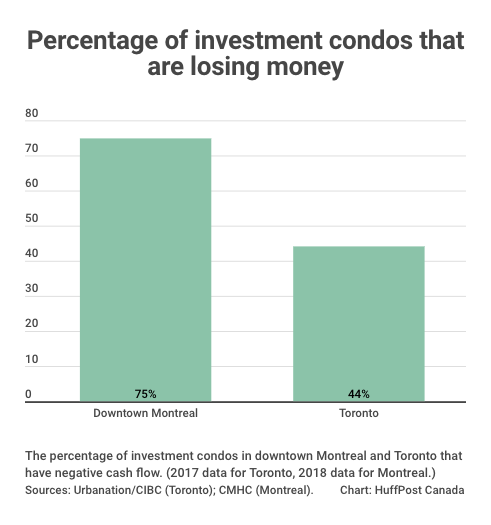 Elevated levels of apartment construction in Montreal, Vancouver, and Toronto is a potential long-term concern, however unsold inventories are low. 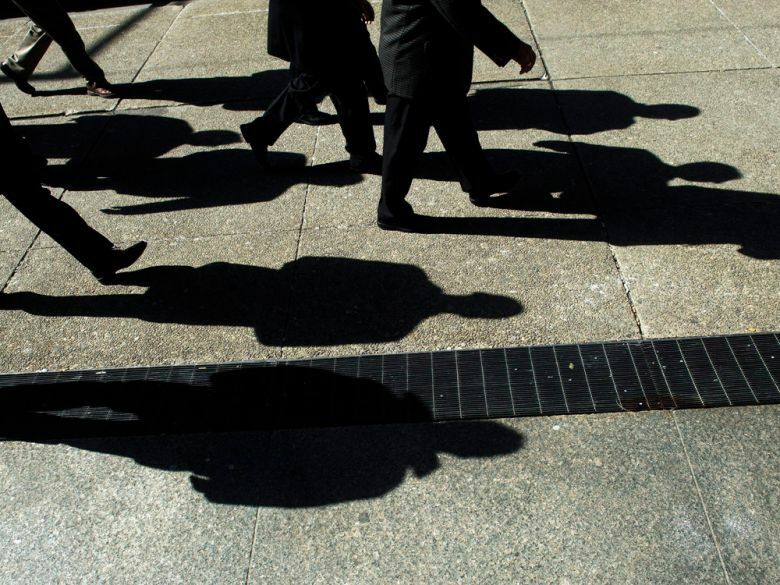 Canada is considering subjecting private lenders to the same mortgage stress test rules faced by banks to prevent housing markets from being destabilized by the lenders’ rapid growth, three sources with direct knowledge of the matter said. Private lenders currently account for approximately one-tenth of Canada’s $1.5 trillion mortgage market, and are still dwarfed by banks but their growth has accelerated since the new rules have been introduced. The B-20 rules that were introduced last January require banks to test the borrower’s ability to make repayments at 200 basist points above their contracted rate, and have resulted in more applications for loans being rejected. As of now, private lenders are not subject to the B-20 rules because they are supervised by provincial regulations rather than the Office of the Superintendent of Financial Institutions, the federal regulator. Bringing them under federal supervision would require a change in the law. Two options were discussed, either the federal government would have to ask provinces to apply the B-20 guidelines themselves, private lenders would then also need to provide stress tests the same as the banks’, or the less severe alternative – to recommend provinces ensure private lenders run tighter checks on the ability of their borrowers to repay loans but stop short of imposing the actual stress test. A final decision has yet to be made. Mortgage investment companies (MICs), have been the main driver of private lenders’ growth, picking up borrowers spurned by the banks. Lending up to 90 per cent of a property’s value, they typically charge borrowers an annual rate above 10 percent, sometimes as high as 15-20 compared with the 3-5 percent offered by banks. 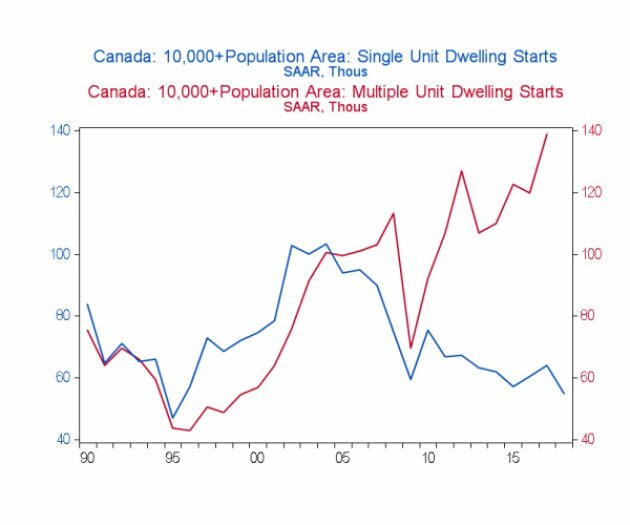 After years of booming times, Canada’s housing markets are at a turning point. 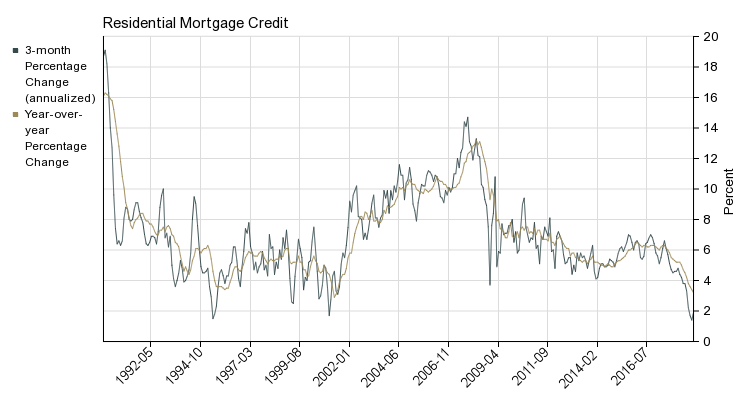 Interest rates are rising, and the new mortgage rules have taken some steam out of the market. Below are 10 charts illustrating just how out of whack things have become. Finance Minister Bill Morneau gave a speech in Aurora, Ont., where he asked if Ottawa has any plans to help first time-buyers. Morneau said the Trudeau government is looking for ways to make home-buying more affordable first-time buyers. Housing is expected to be a prominent campaign issue ahead in October’s federal election. The Liberal government has focused on three housing-related issues: Canada’s shortage of affordable housing, a run-up in real estate prices and ensuring millenials can afford homes. He stated that the Federal government has already taken steps to increase the supply of affordable housing and to cool the hottest markets by introducing stress tests that limit some people’s ability to take out big mortgages. According to the Toronto Real Estate Board, the average price for all types of housing there was $810,000 in December. 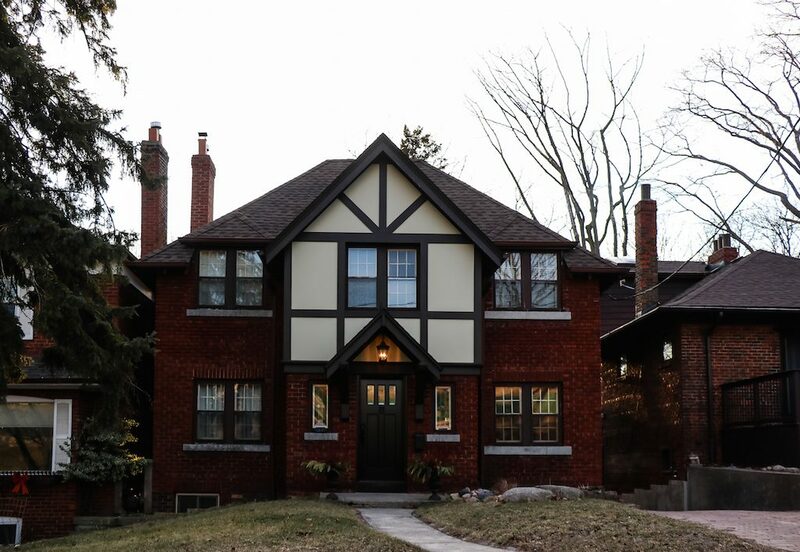 Detached homes were going for more than $918,000. Conservative MP Karen Vecchio argued in a statement Tuesday that Trudeau government policies, including it’s carbon tax, have made housing less affordable. NDP Leader Jagmeet Singh proposed measures he insisted will help build 500,000 new affordable housing units across Canada over the next 10 years. He said Ottawa should stop applying GST to the cost of building new affordable units, provide a subsidy to renters who spend more than 30 per cent of their incomes on housing and double a tax credit for first-time home-buyers from $750 to $1,500. 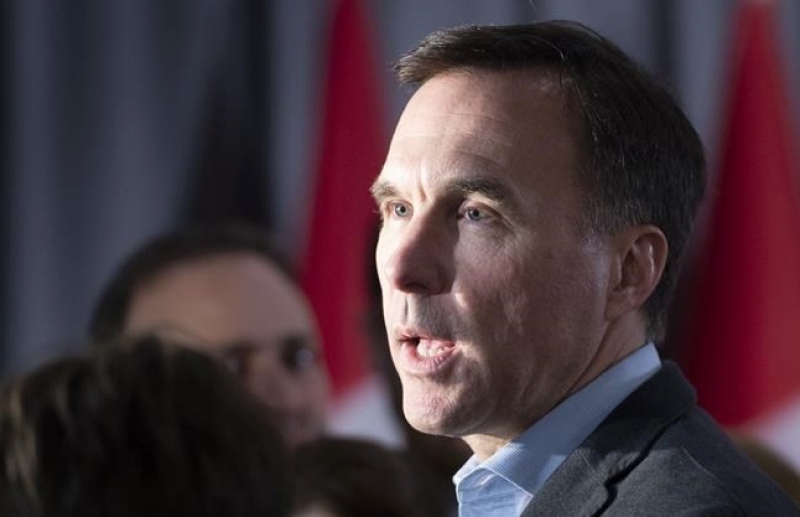 In 2015, Liberals promised to enhance the popular Home Buyer’s Plan which enables first-time buyers to borrow up to $25,000 tax-free from their registered retirement savings to purchase a new home. The amount musst be repaid within 15 years. And in 2017, they unveiled a 10-year, $40-billion national housing strategy which the government has billed as a plan that will provide more social housing and affordable renting units. 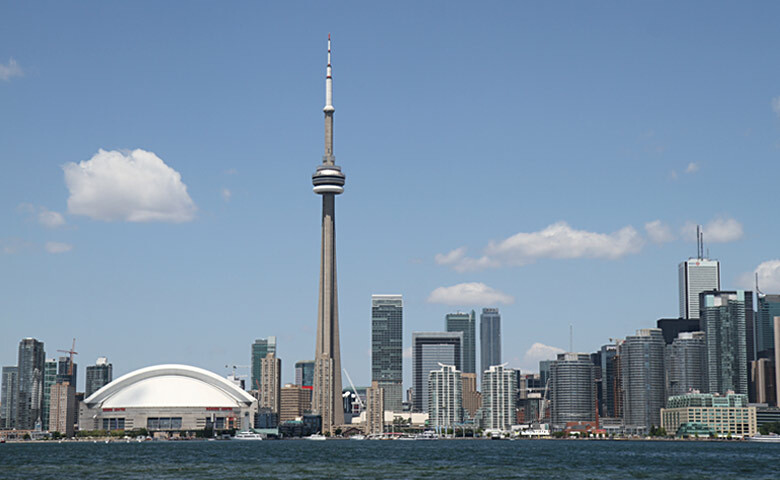 Among the top 30 cities favoured by investors for commercial real estate, Toronto ranks among the top 30 cities. It has help this position for every year in the past decade. However, Canada’s only city in the annual JLL rankings has slipped down the list from 14th to 19th, through the duration of 2017 to 2018. Asia Pacific cities are increasing in popularity. London is still being favoured in the commercial real estate world, despite Brexit. The global rankings show that investors prefer cities they are familiar with, that have a well-established investment market, and high levels of transparency. New York slipped back in 2017 with Los Angeles becoming North America’s top city. “In a year when investors have had to deal with increasing populism, protectionism and political uncertainty, the appeal of real estate as an asset class has continued to increase,” commented Richard Bloxam, Global Head of Capital Markets at JLL. Investors remain focused on gateway cities, despite tight pricing. Many are looking at alternatives or emerging locations, as well as varying real estate properties within these cities, rather than exploring other less familiar cities. Total volumes in 2018 were $733 billion, up 4% from 2017, the best annual performance in a decade. Cross-border purchases accounted for 31% of activity in 2018, close to the 10-year average, suggesting investors still have appetite to buy outside their own markets. “A notable trend is that half of these established gateway cities are in Asia Pacific. Increasing transparency in these markets is encouraging more investment, moving these cities even higher up the rankings in 2019 and beyond,” Bloxham said. Over the next year, JLL is forecasting a pull-back by some investors due to caution and selectivity. That could mean a 5-10% reduction on 2018’s volumes although real estate remains an attractive investment compared to other asset classes with strong fundamentals. 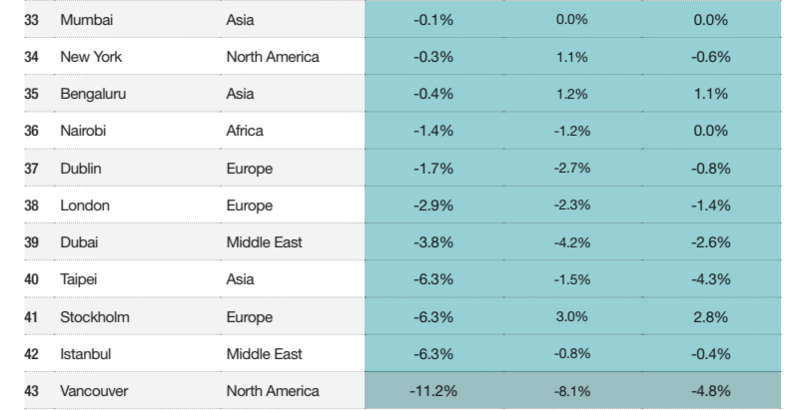 Yields are now at historic lows in most markets across the globe. A sharp correction is unlikely, as there is still a significant weight of capital looking to invest in real estate, and corporate occupier market fundamentals across many markets are positive. The institutional real estate universe will continue to expand, driven by factors such as low volatility, diversification benefits, long-term income and an attractive pricing premium to core sectors. Asset classes such as student housing, senior living and multi-family have continued to attract more institutional money in 2018 and this is likely to continue in 2019. Industrial now accounts for 17% of all investment, up from 10% in 2009. In contrast, the retail sector has seen less activity as investors adjust their investment approach to reflect changing consumer behavior. In gateway cities, the office sector tends to account for a higher proportion of investment volumes—68% in 2018, compared to 51% in global volumes. The top 30 will continue to be dominated by the gateway cities in 2019. However, at the edges, investors will consider a widening range of cities in their strategies. 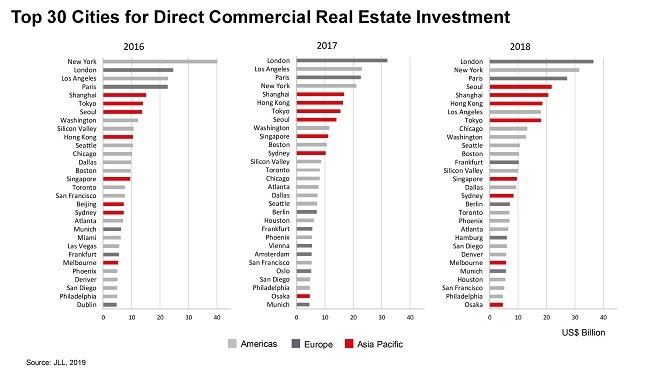 Reflecting real estate investors’ risk appetite, secondary cities in established transparent markets, such as Osaka and Atlanta, are likely to attract more attention, as opposed to moving into entirely new countries. Robert Kavcic, a senior economist for BMO suggests the decline in Canadian home sales and prices is not as bad as it seems. 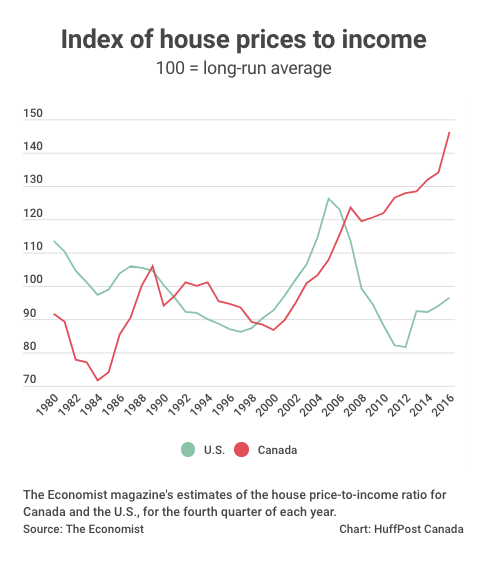 “Remember: If the price of every house in the neighbourhood stays the same in a given year, but fewer of the expensive ones change hands in favour of the cheaper ones, the ‘average price’ will fall”. The average price of a Canadian home this past December was $472,000 down 4.9 percent from the same month a year ago, according to the CREA. For the whole year, home prices have gone down by 4.1%, marking the biggest drop since 1995. Sales were especially low in the costly Toronto and Vancouver markets, which is going to have a considerable pull on the nation average price. 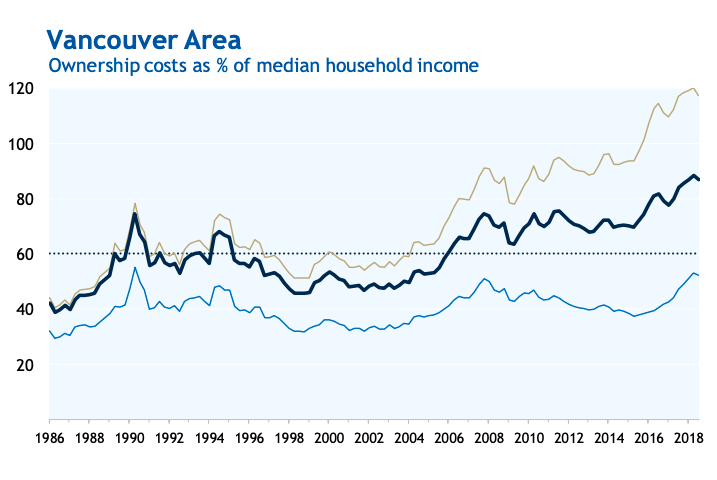 Removing Greater Vancouver and the GTA from calculations trims close to $100,000 from the national average. “Main points here: It wasn’t as bad as the headline 2018 national price decline look; but it wasn’t good for much of the country either; and this year could see housing stagnation become a wider and more persistent theme” Kavcic concludes.